The Annual Lighting of the Pilgrim Monument, which celebrates the Pilgrims’ First Landing in the New World in Provincetown on November 11, 1620, is one of Cape Cod’s most beautiful traditions and one that is supported by PMPM’s members and friends. The 2018 lighting ceremony took place on Wednesday, November 21, 2018 from 5pm-7pm at the Pilgrim Monument & Provincetown Museum (PMPM). This year, we illuminated the Monument for everyone who needs a little Light and Love. As a Beacon of Tolerance and Hope for over 100 years, we honor those throughout our world who do not enjoy the Acceptance and Peace we are Thankful for. Every year, people from near and far come to this iconic event to witness the Monument festooned with more than 3,100 “landing lights” which shine nightly through January 6 of the following year. Admission is free, and light refreshments and entertainment are provided. This year’s Annual Lighting was live-streamed on the PMPM Facebook page: www.facebook.com/pilgrimmonument/. 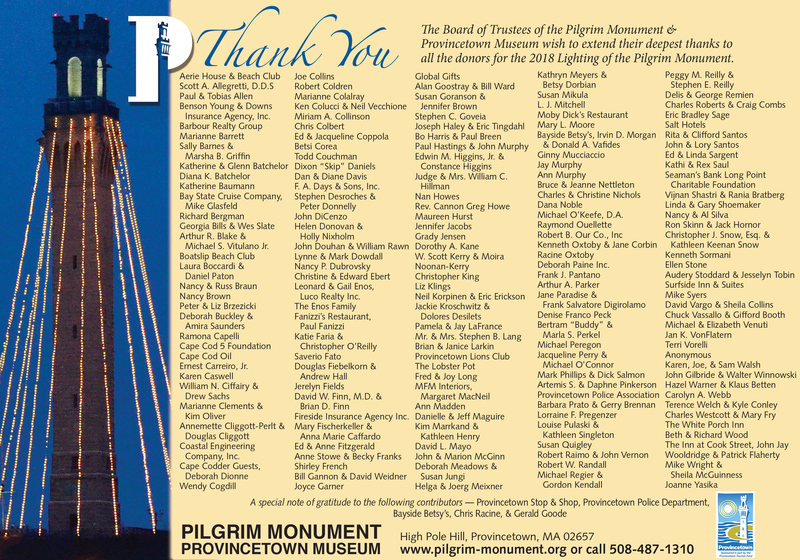 For a small donation, you can help support the traditional lighting of the Pilgrim Monument. 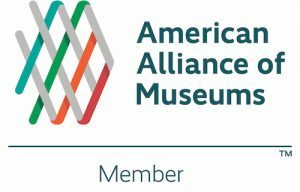 The list of sponsors and their dedications will be displayed in the Provincetown Museum in-season and on our website throughout the year. We encourage those who have donated to the Lighting in the past to continue to do so as well as all members and friends of the organization. Donations are tax-deductible to the full extent of the law. You may pay online using any credit card or your PayPal account. To mail in your contribution click to PRINT. Make your contribution online using any credit card or your PayPal account.